1. 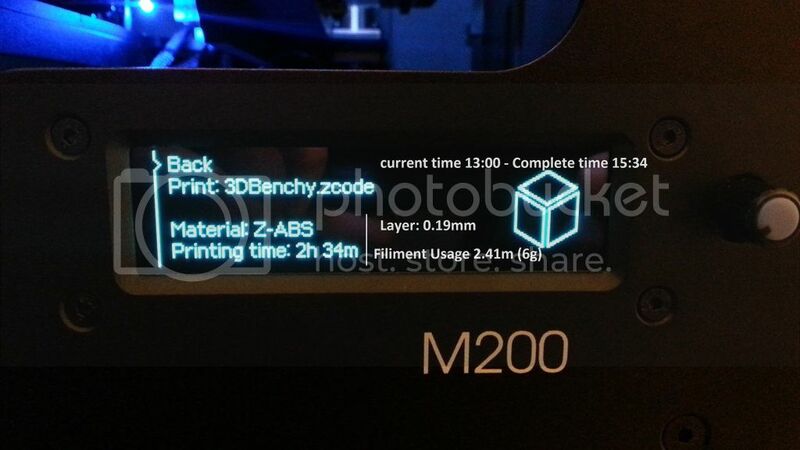 Display more info before print - Real time clock also showing completion time, Layer Height, Filament usage. 2. Automatically scroll long file names so they are fully readable when the arrow is selected to that particular file. 1. Indicate / Highlight where the seam will be on prints. 2. 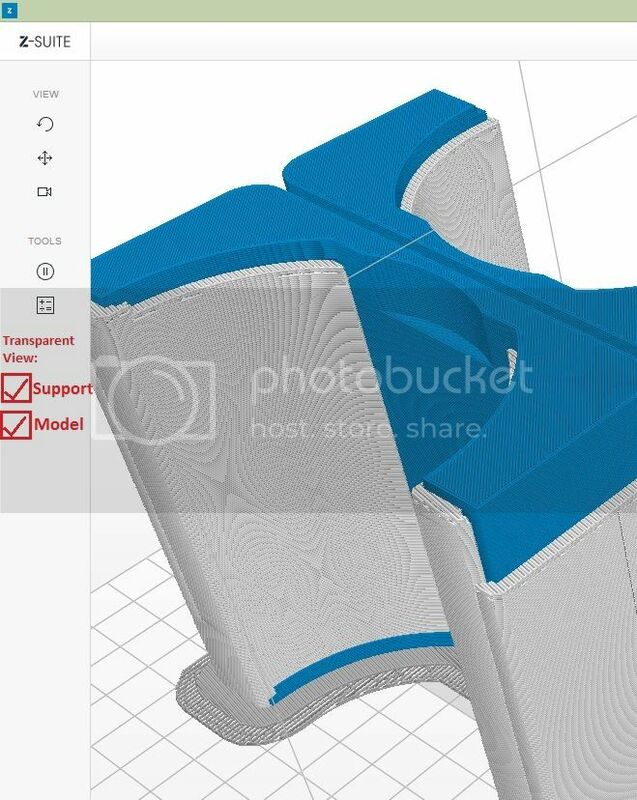 Have option to view Supports / Model in transparent view. 3. Have the option to export print info into file name once saved. ie Material, layer hight, usage. I agree with most of what you are saying there Andy, only one problem with the whole keeping time thing. The printer has no way of keeping track of what time it is being that when you shut the machine off you are turning off the power supply so that would lead me to think that the board is completely dead . Not just that but the printer cannot update its time because the printer never connects to a computer or the internet. Now I may be wrong and there might be a way to make it happen, and if so I am all for it but I just don't see it. The long name issue is one I have dealt with before by coming up with a short code in each name, something that looks like this: A19N15Part. A means Z-ABS, 19 is .19 layer height, N is the normal speed, 15 is time so in this case 15 hours, and part is just the name of the object. 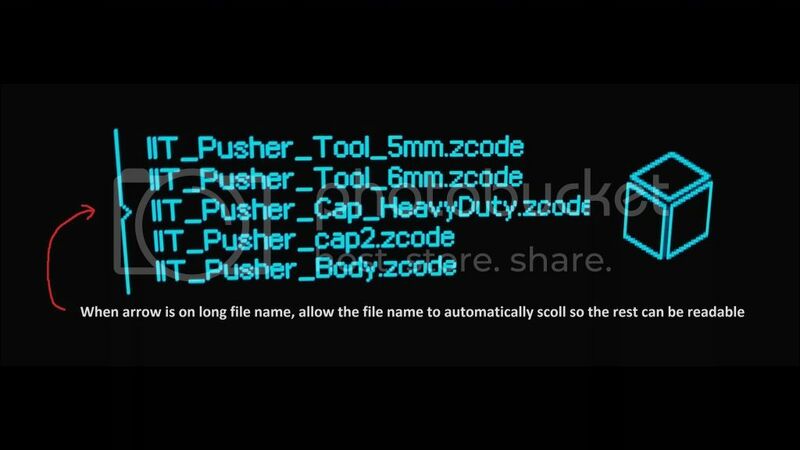 This tells me some information on the part in question, mainly material type and time. Or what I do now is just save the sliced file to the desktop and copy it over to the SD card (this also prevents SD card time out errors down the line) and when I go to print an object I can load up the part and see the settings needed. I'm not sure if it was mentioned before but I would prefer a wire frame of the object before slicing so I could see if there is anything inside the part that looks questionable. I agree with the other points you have though.
" A19N15Part " - I really like that NightShift. 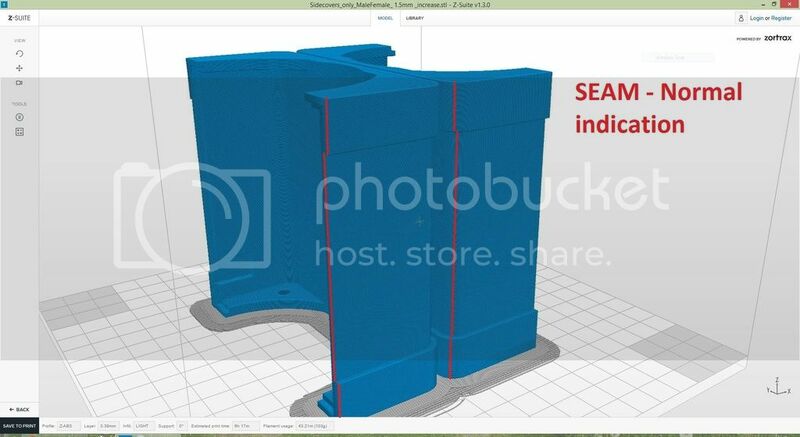 Maybe better this way round though: "3DBenchy.A19N15.zcode"
Also could save some characters by removing ".zcode". We know the printer can only use this file format so i see no reason as to why not to remove it from the menu. So file name would then look like "3DBenchy.A19N15"
Could you have the option to bleep when the extruder has started to "mechanically" unload the filament. As it does take time to heat up the extruder and in that time i go to sit in another room. Would be nice to be promoted with an audible bleep. Hi, would like to mention the latest updates have been great! I know this has been mentioned before, but a True “Full” infill would be a huge hit! -A more conservative standby mode- no lights, or fan if possible. But if the Bed, and the Extruder could both heat simultaneously. -The addition of the hours of operation meter is great, perhaps integrate reminders on the screen at certain hour intervals (i.e. 25, 50, 75, and 100) for lubrication, nozzle cleaning, and other recommended services incase its overlooked, extending the durability and reliability of the printer. Control where the seam will be on the part / parts. Question for the engineers would be, does the Zortrax M200 have any safety measures built in? Such as thermocouples that detect and turn off the printer in the event of some sort of thermal runaway, or possible hazardous situation? In addition to that question, is the logic board able to detect if the stepper motors are pulling more amps then usual? If it could, this would be a great way to detect possible filament entanglements (common with spools currently), so when the tangled filament occurs the extruder motor would see increased resistance due to the filament not feeding, the increased draw of current to the motor could be then interpreted as a impending failure. This could then result in the printer automatically pausing, and beep / with flashing light, and/or abort the print in the event of the operator not being present after a prolong period of time, saving material and improving reliability, and safety. I have a suggestion! Hope it hasn't been said before. I would love Z-suite to highlight the contour of the base of an object, or what is the same, the plane touching the ground, the raft. It would be useful for me because I work in Zbrush and I am still messy with the tools and every time I print I am hoping my base is not deformed and I have to look really close in Z-suite. It would be awesome to have this feature. Also, a tool to determine the centre of gravity of the piece would be just amazing, I have to go to Meshmixer to check when I am not sure my model stands upright on its own. Allow us to modify support material after its created. Sometimes I want to do a large amount of support but when I do that it adds support to parts that I do not want it in other locations. Let me edit that! Yes so a simple button that would ground the item would be nice. In Simplify3D you can just click the button and it will make the object even with the plate. Please sound a beep when printer is up to temperature and ready to do a calibration. +1, also when heated for load/unloaded. I almost added that one, but couldn't remember if they had already implemented it. I don’t if mean the same? The idea is to print several parts with only one print job. But instead of print all parts at the same time, the print will finish at first Part A and than move to Part B and so on. The advantage will be a shorter print time and you can check the finished part while the second is already printing. I don't if mean the same? There is a lot of limiting factors that goes into this idea. Quite honestly I would prefer to not have this because it would take too long to implement and chances are there is going to be some critical failures in the parts that can damage the gantry in they come in contact while operating.